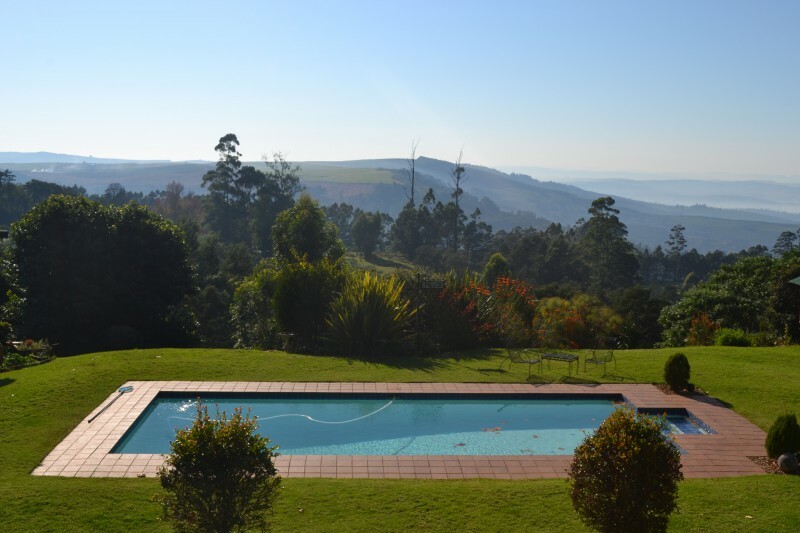 Situated in peaceful Hilton, with magnificent views.Ideal for business in Pietermaritzburg, holidaymakers visiting the Midlands Meander/stopovers enroute to the Drakensberg mountains or the coast.Convenient to Hilton College & St Annes private schools. 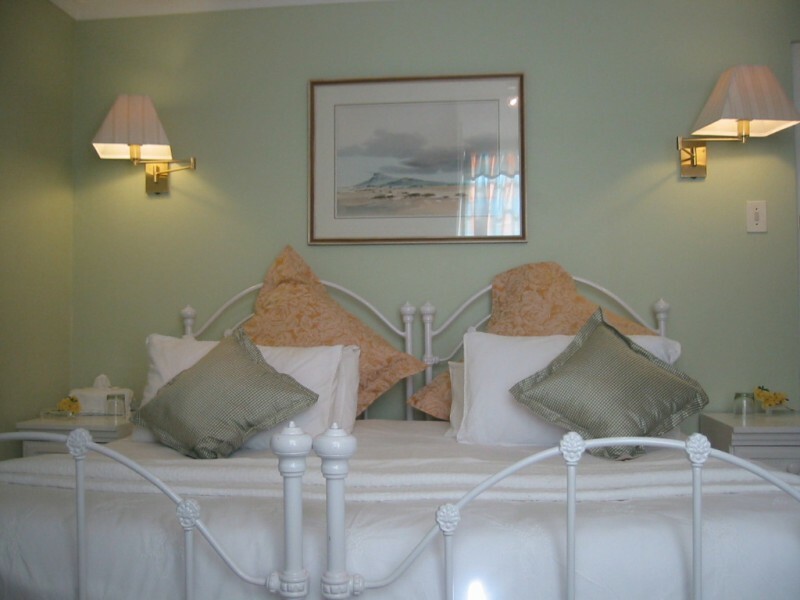 3 double rooms, 1 x 3-sleeper, (all these are semi self-catered) & 3 x fully self-catered family units(4-sleepers & one has a daybed for a 5th person). 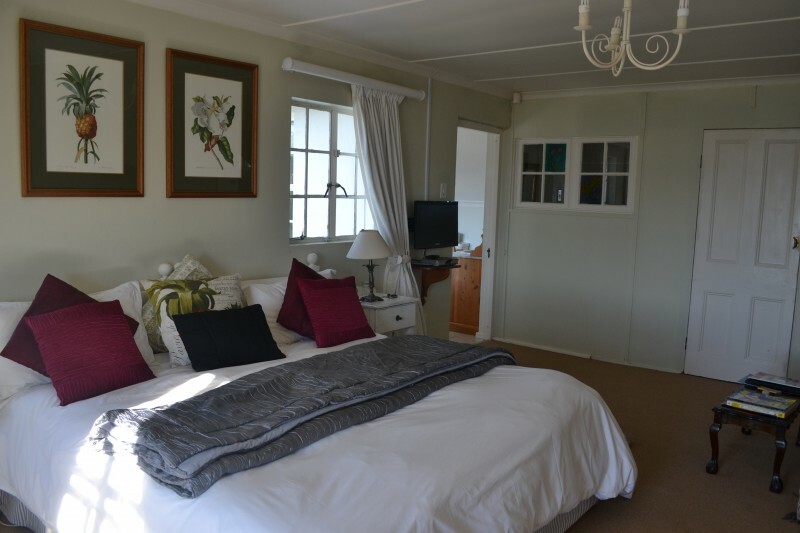 All rooms/units have: Dstv, wi-fi, hospitality fridge, teatray, heating, electric blankets, fans, hairdryers, ironing facility.Breakfast(full health & English or a health option) served in the conservatory off the main guesthouse. Other amenities: internet, all credit cards, onsite parking, laundry service, pool, trampoline, children welcome. 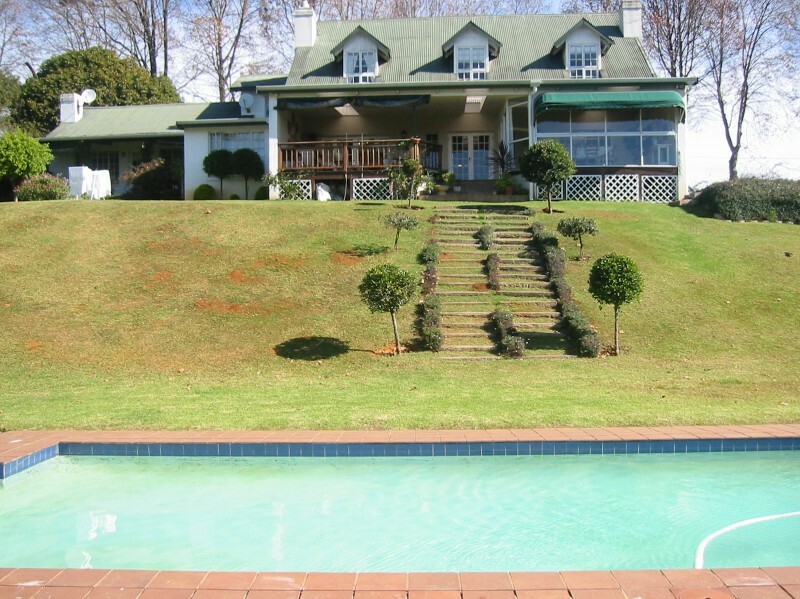 Situated in a quiet cul-de-sac in peaceful Hilton village, only 10km’s from Pietermaritzburg city centre. 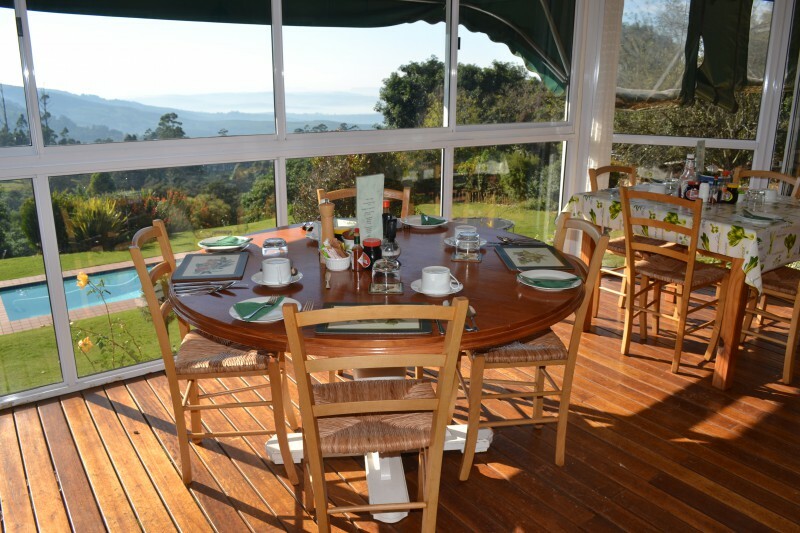 The setting offers magnificent views of Table mountain & countryside, with the lights of Pietermaritzburg in the evenings. 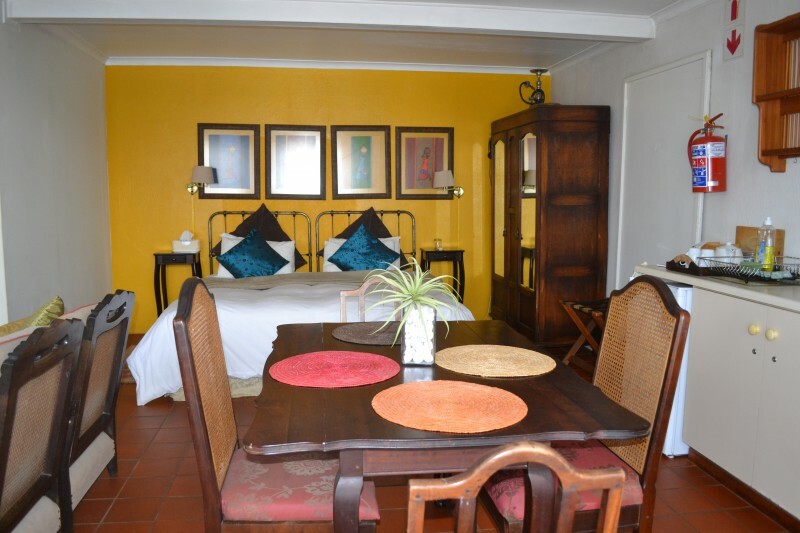 Ideal for business in Pietermaritzburg or visitors to the Midlands Meander’s arts & crafts/restaurants & coffee shops. 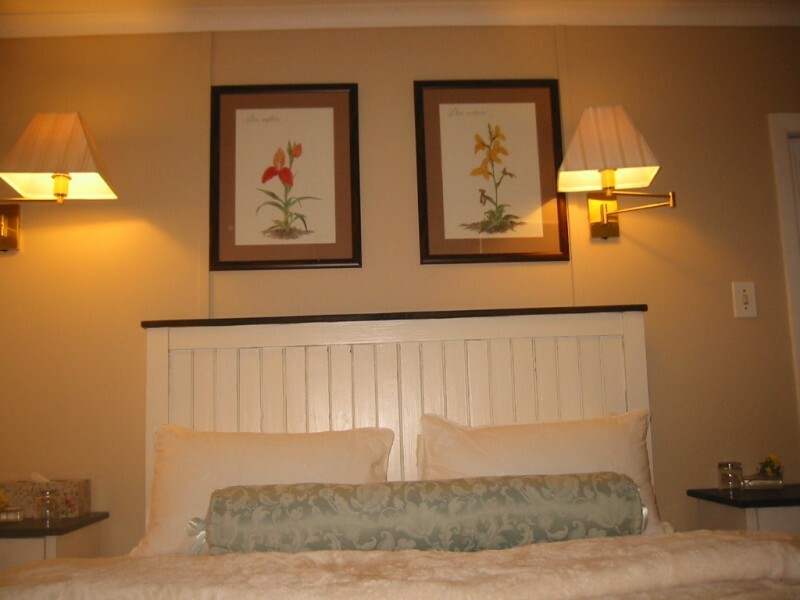 Hilton is midway between the Drakensberg mountains & the KZN beaches so is a perfect stopover point for holidaymakers. 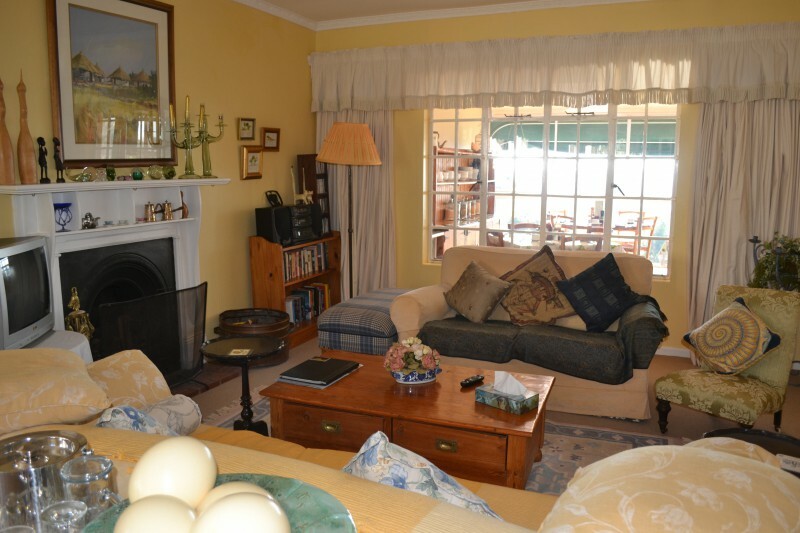 Three family units(4 to 5-sleeper), with self-catering facilities & 1 double B&B room are separate from the main house.Two double rooms & a 3-sleeper room, all B&B, on the upper floor of the main guesthouse.All rooms have bathrooms ensuite. We serve a delicious health & English breakfast in the conservatory on the deck.There is the option of full Continental breakfast on request. 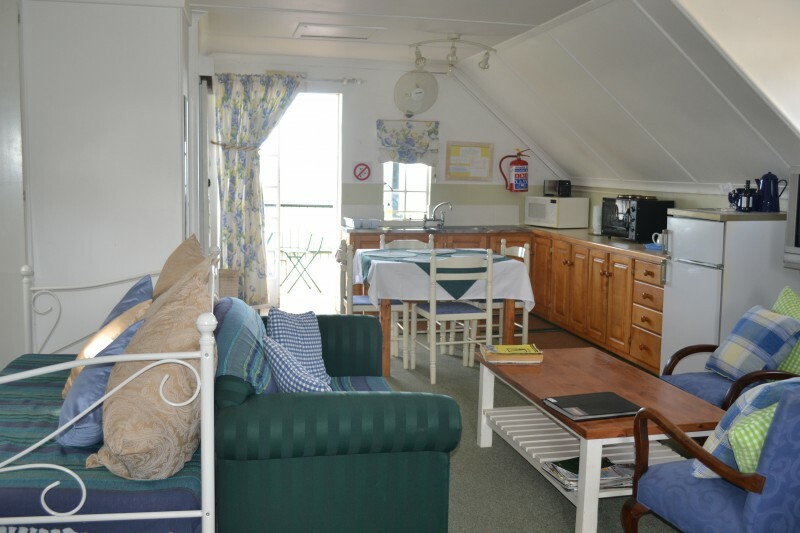 Each family unit comes with own lounge/dining/kitchenette area enabling both B&B and Self-Catering options.B&B rooms do also have microwave, barfridge, crockery & cutlery. outside sitting areas & braai facilities (on request).TGCSA 3 star graded. 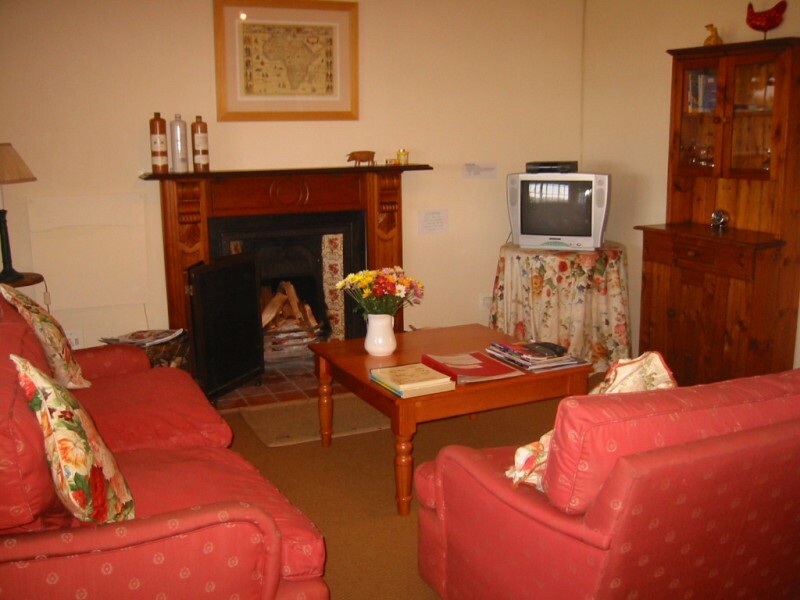 Facilities in all the rooms: wireless internet, Dstv, teatrays, barfridges, electric blankets, fans & heaters, fireplaces & underfloor heating in some, hairdryers, irons. 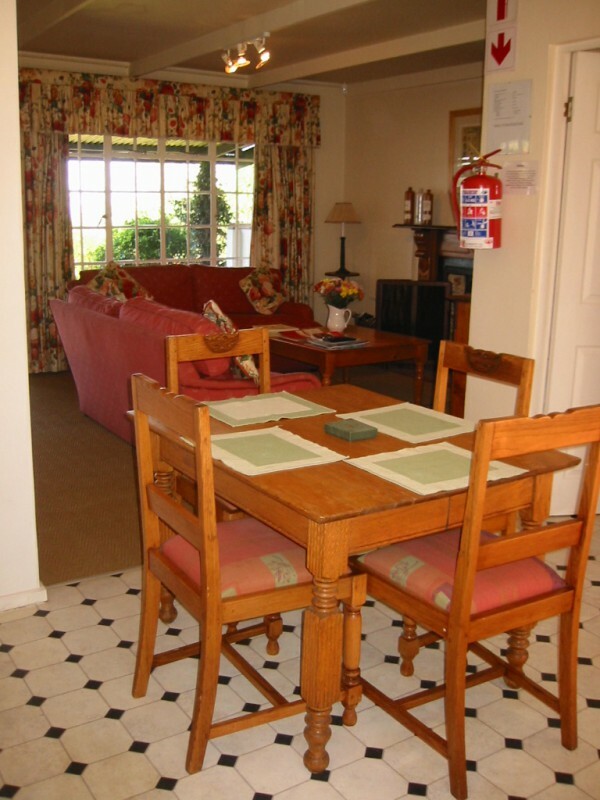 Facilities on site: guest lounge & desk with e-mail & ADSL internet. Parking within premises, laundry service.Children welcome. 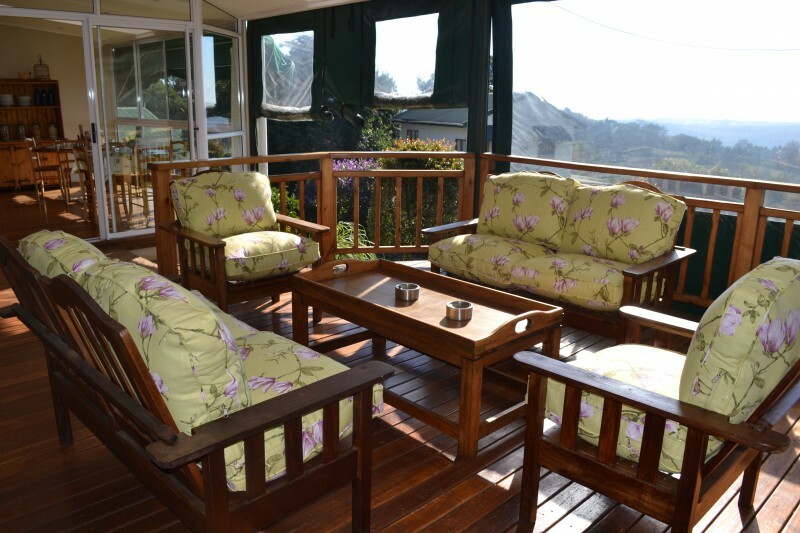 There are braai facilities & a lovely deck area where you can sit & enjoy the wonderful view. 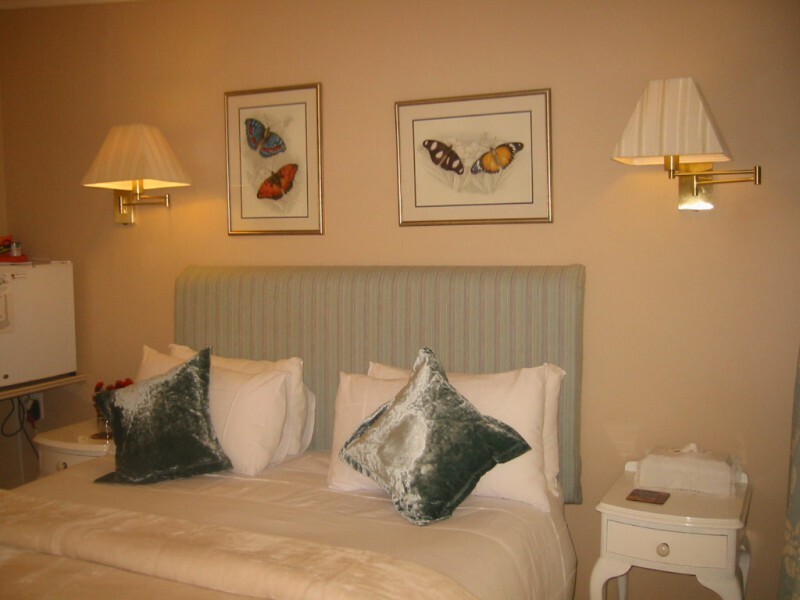 We offer use of the internal diningroom & kitchen for B&B guests in the main guesthouse who would like to organise their own evening meals. Restaurants, pubs & shops. Gym. Health Spa. Golf courses. Nature reserve. Howick & Karkloof Falls. Horseriding. Karkloof Canopy Tours. Troutfishing. Cycling. Ango-boer war memorabilia – Howick. Casino. Quad-biking.